Product prices and availability are accurate as of 2019-04-04 21:41:38 UTC and are subject to change. Any price and availability information displayed on http://www.amazon.com/ at the time of purchase will apply to the purchase of this product. 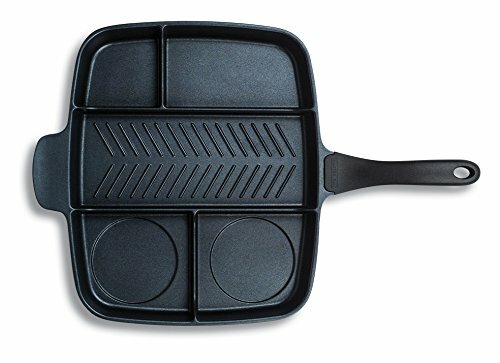 Why use 5 pans to make a great meal when you only need one? 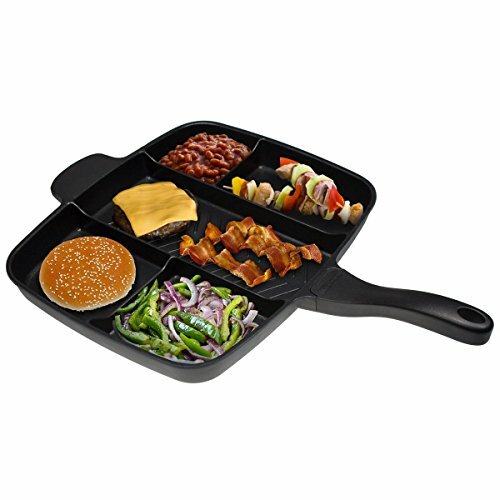 Cook up to five different foods all at once on one burner with the Master Pan! Prepare a complete breakfast, big burger meal, full fajitas, or a healthy salmon dinner with veggies. The possible food combinations are endless! Plus, when you're finished you'll have just one pan to clean. Cook faster, clean less, and still enjoy great meals! 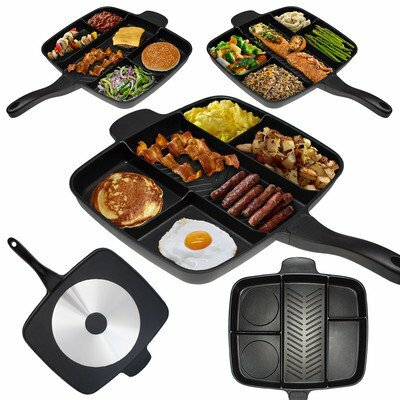 - Multi-sectional design - cook 5 foods at once! 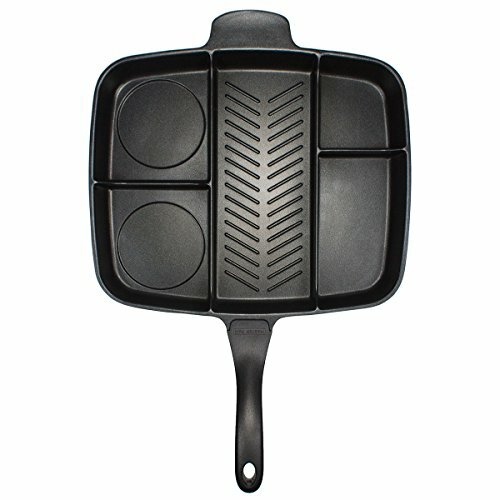 - 100% die cast aluminum, energy efficient base - Heavy gauge bottom distributes heat flow evenly - Double layer of Whitford's XYLAN PLUS coating - Easy to clean, stain resistant, dishwasher safe - 15-20% hotter in center section for grilling meats - Safe non-stick, PTFE, No PFOAs or Heavy Metals - Bakelite handle is oven safe to 350 Degree F for 1 hour.